The Radeon RX Vega M GL is an integrated graphics processor you can find in a couple of Intel’s main processors. 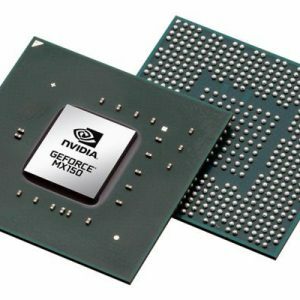 In particular, in the Core i5-8305G and i7-8705G. But, unlike ordinary integrated graphics processors which use the main system memory (RAM) for graphics rendering purposes, the Radeon RX Vega M GL has its own memory. 4 Gigabytes of it. Also, the GPU is much more powerful than standard integrated graphics solutions. 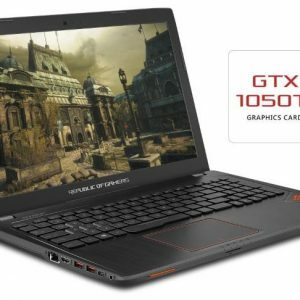 In benchmarks and games, it provides performance similar to mid-range dedicated video cards you can find in many gaming laptops. 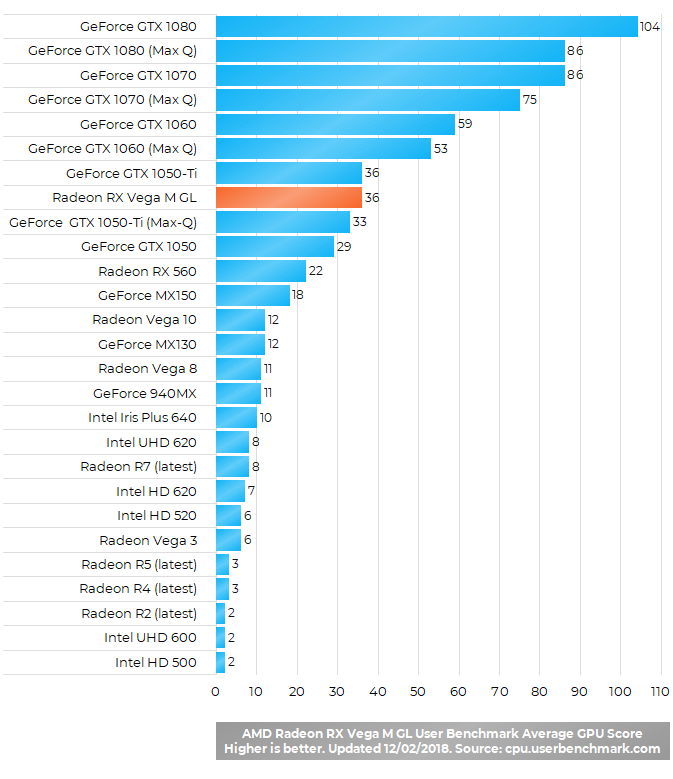 Below you can see how well the RX Vega M GL runs some of the most popular games today. The gameplays confirm that its performance is similar to performance of the popular mid-range video cards like the Nvidia GeForce GTX 1050 series. This means the RX Vega M GL can run all popular games, with reduced graphics detail settings in some of them. All depending on hardware demands of each game. Below you can read and submit user reviews, comments, questions, and answers regarding the graphics processor. Thank you for your contribution. and 4 GB Graphic Card (AMD R4) but my laptop only shows 512mb dedicated VRAM and its not changing so can this be good for any game??? 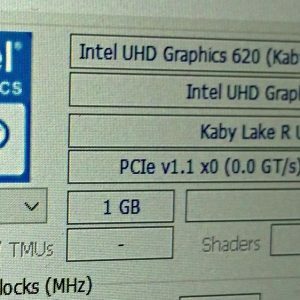 how can i chage VRAM?